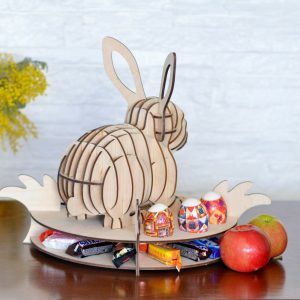 3 cute baskets – files arhiv for use by the laser machine. 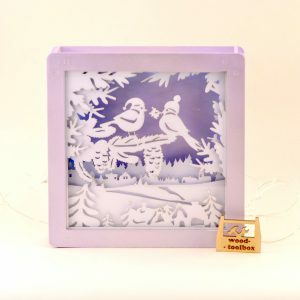 Files are engraved and cut on acrylic. 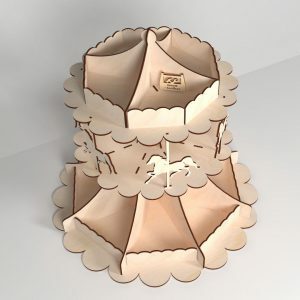 Then you need to cut the base (http://www.instructables.com/id/3D-Head-Lamp/) or bought it (for example you can use ebay) and insert the cut image. 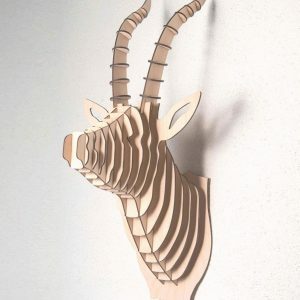 The price is for the whole collection, 80 pieces! 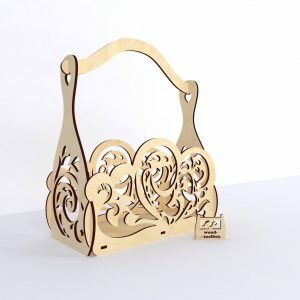 If you want to buy only a part (but more than 10 pieces) – write to us. 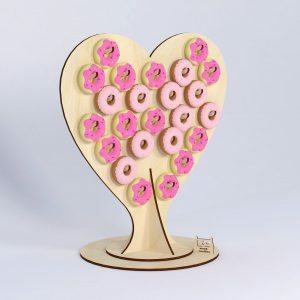 In this case, the cost is $ 1 for 1 piece. 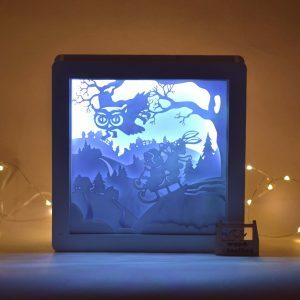 This charming 3D led lamps creates a visual emphasis in the interior of your bedroom, living room, kids room, office, shop, bar, or creative space. 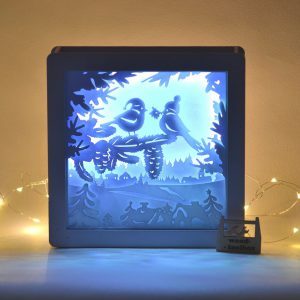 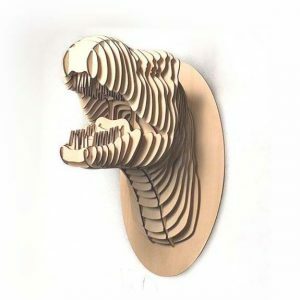 It’s perfect for a home decor 3d led light. 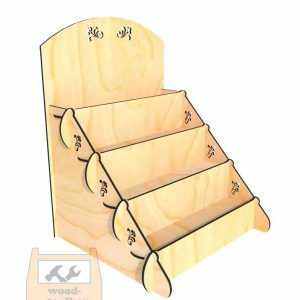 It will also be great for children who are afraid or just dislike to sleep in the dark. 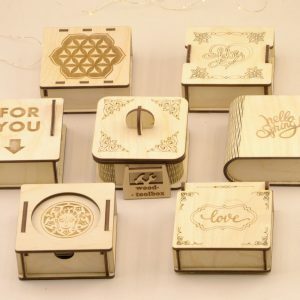 7 different types of small boxes – files arhiv for use by the laser machine. 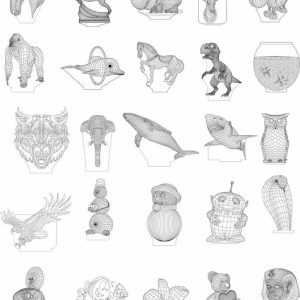 Animal figures for coloring 10 units – files arhiv for use by the laser machine. 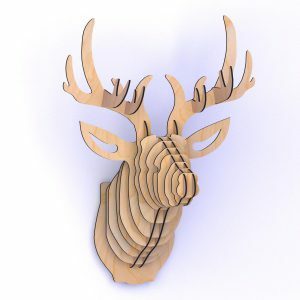 Antilope head – files arhiv for use by the laser machine. 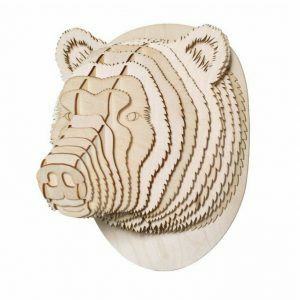 Bear head – files arhiv for use by the laser machine. 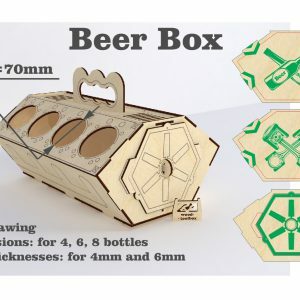 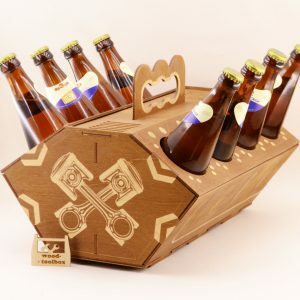 Beer box – files arhiv for use by the laser machine. 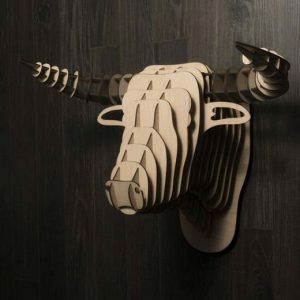 Bull head – files arhiv for use by the laser machine. 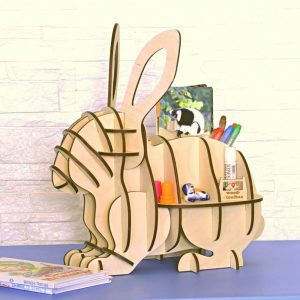 Bunny, shelf for the kids – files arhiv for use by the laser machine. 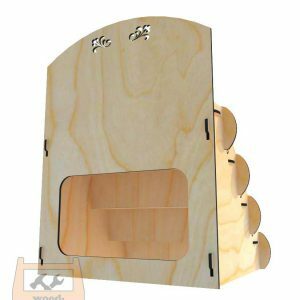 Bus-shelf – files arhiv for use by the laser machine. 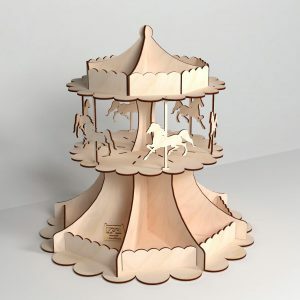 Candy carousel – files arhiv for use by the laser machine. 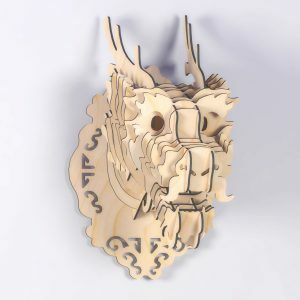 Chinese dragon – files arhiv for use by the laser machine. 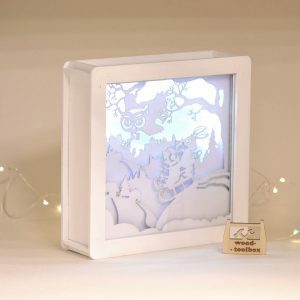 Christmas Lightbox set1 (3 pieces) – files arhiv for use by the laser machine. 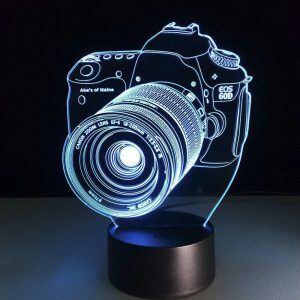 For the backlight, I used the simplest 1m LED-stripe with battery box and remote control. 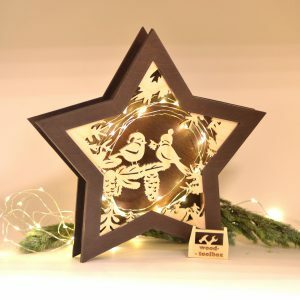 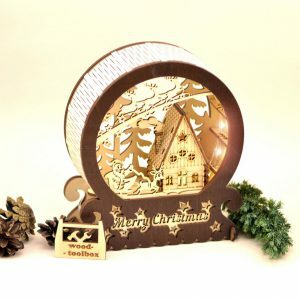 Christmas Lightbox set2 (3 pieces) – files arhiv for use by the laser machine. 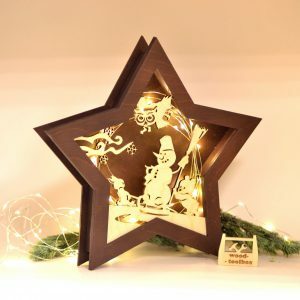 Christmas scene – files arhiv for use by the laser machine. 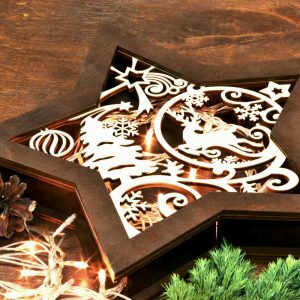 Christmas stars – files arhiv for use by the laser machine. 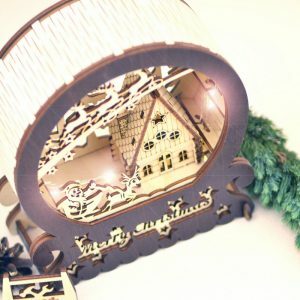 For the backlight, I used the simplest light garland with battery box. 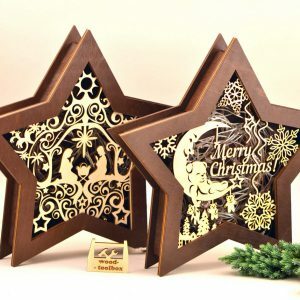 Christmas stars (pack 6 pieces) – files arhiv for use by the laser machine. 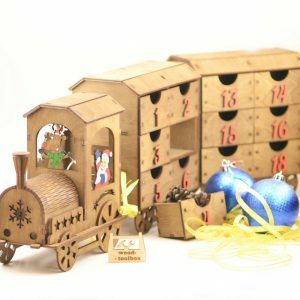 Christmas train advent calendar – files arhiv for use by the laser machine. 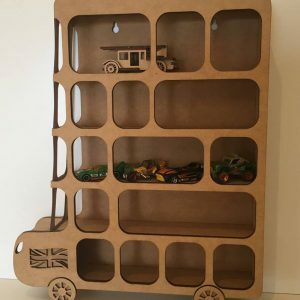 Each train car has 6 drawers on each side. 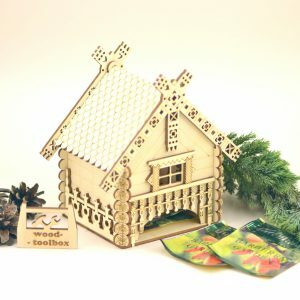 Total for two cars 24 separate boxes. 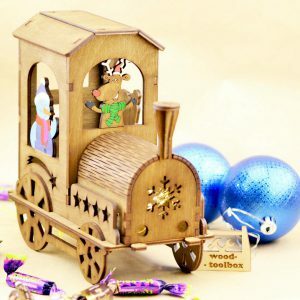 The locomotive has an additional door and space for sweets or Christmas lights. 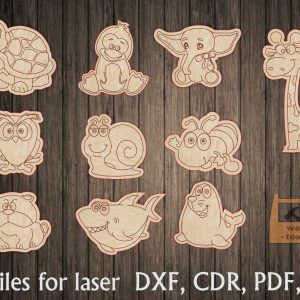 The dimensions of the parts are made specifically so that the biggest parts could fit on a small laser bed, for example K-40. 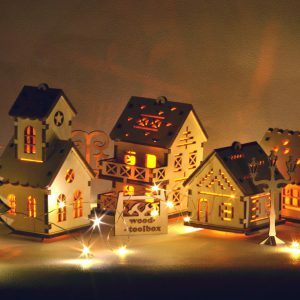 Village + torch for LED-candles (4 houses + 1 torch + 3 street lights + 1fir-tree) – files arhiv for use by the laser machine. 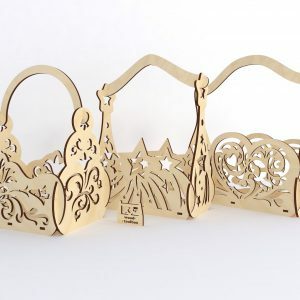 OPTIMIZED files for LASER CUTTING MACHINE with the APPROXIMATE SIZE of the houses – 7-10cm for the thickness of the material used is 4mm. 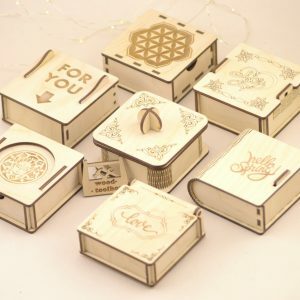 Or 5-8 cm if you use a 3mm thick material. 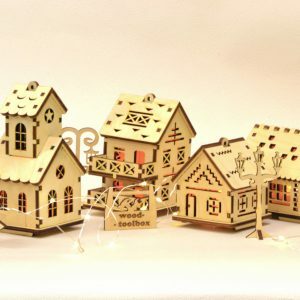 Candle diameter – 36,8mm. 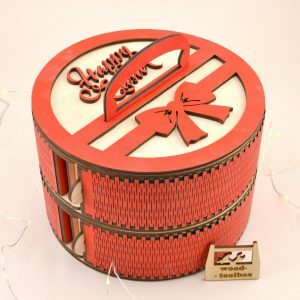 Circle box + some decorative elements (congratulatory inscriptions) – files arhiv for use by the laser machine. 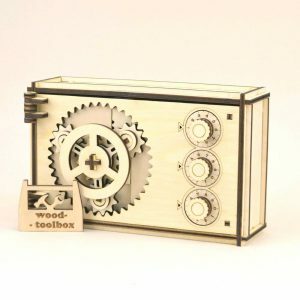 Inside the file you will find 2 versions boxes: with handle and without handle. 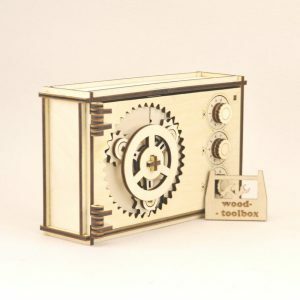 Coded wooden box – files arhiv for use by the laser machine. 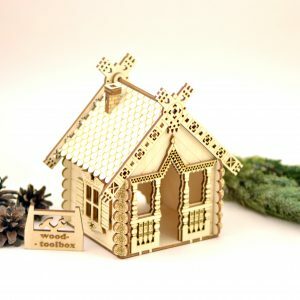 Cute house in the shape of a national Russian houses of the 18-19 century – files arhiv for use by the laser machine. 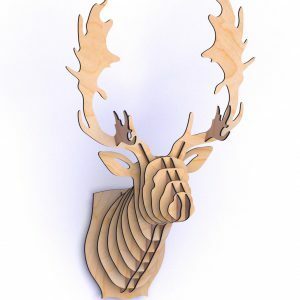 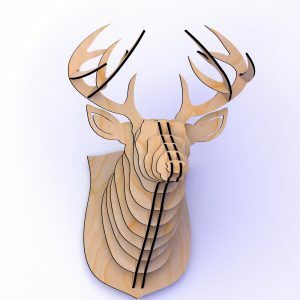 Deer head (branched horns) – files arhiv for use by the laser machine. 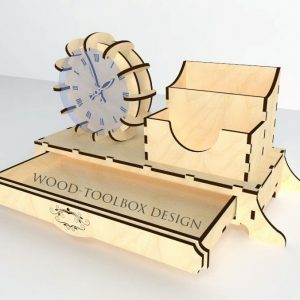 Desk clock – files arhiv for use by the laser machine. 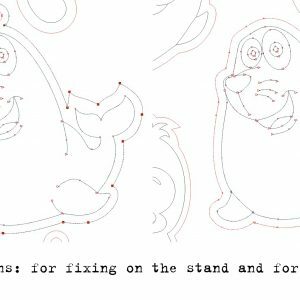 T-rex – files arhiv for use by the laser machine. 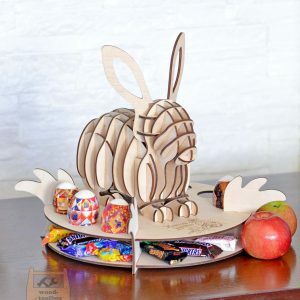 Display for goods and sweets – files arhiv for use by the laser machine. 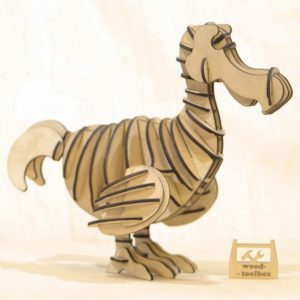 Dodo bird – files arhiv for use by the laser machine. 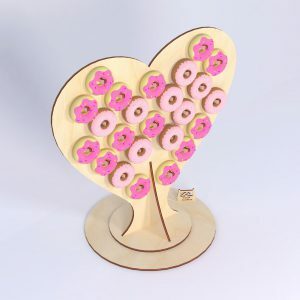 Donut heart – files arhiv for use by the laser machine. 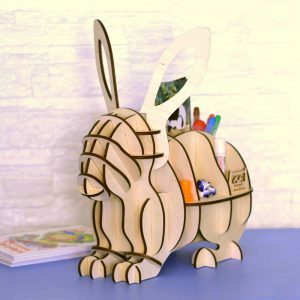 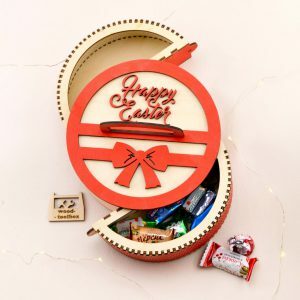 Easter Bunny – files arhiv for use by the laser machine. 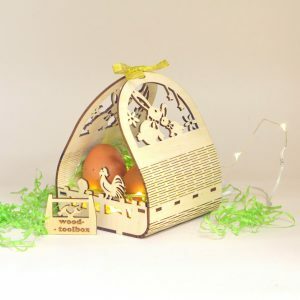 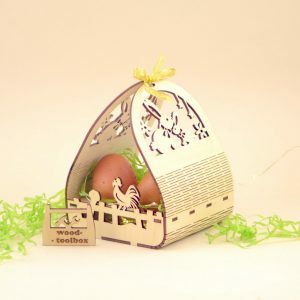 Egg basket – files arhiv for use by the laser machine. 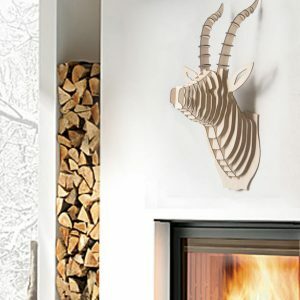 All materials of the site are protected by International copyright law. 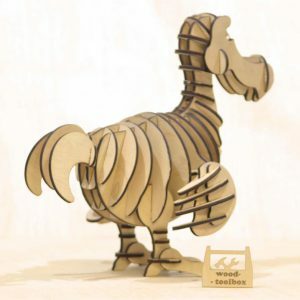 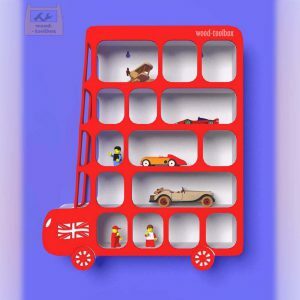 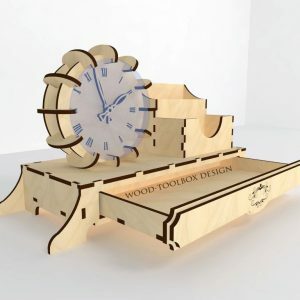 Copyright © 2019 wood-toolbox – Powered by Customify.